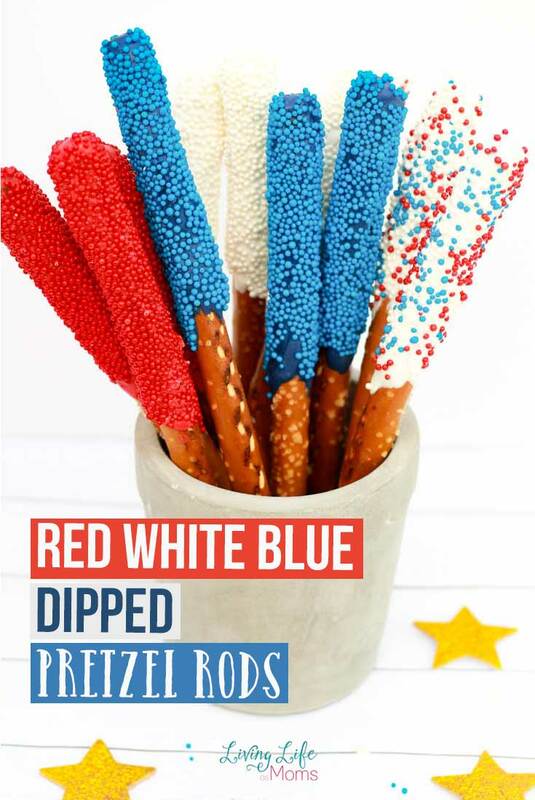 These Red, White and Blue Dipped Pretzel Rods are a wonderful way to celebrate the upcoming 4th of July holiday! 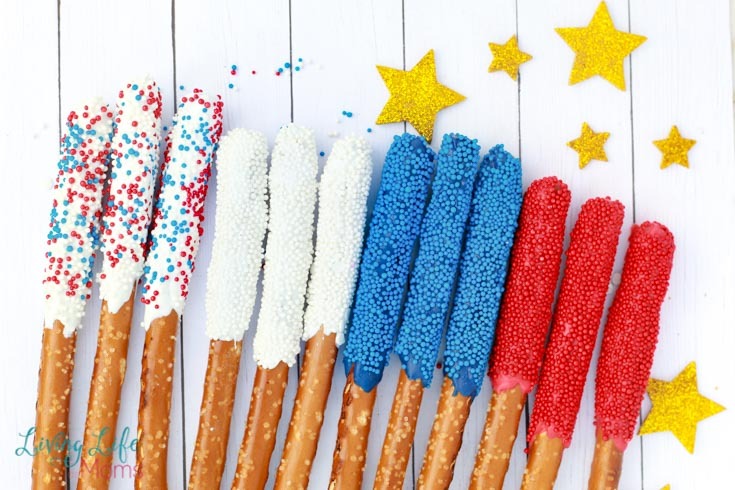 It’s no surprise that these decorated pretzel rods are a hit. Just look at them! Not only are they tasty, but they’re adorable as well. We’ve made these so many times that they’re almost second nature in our house…and the time has come to share this delicious and simple dessert recipe with all of you! 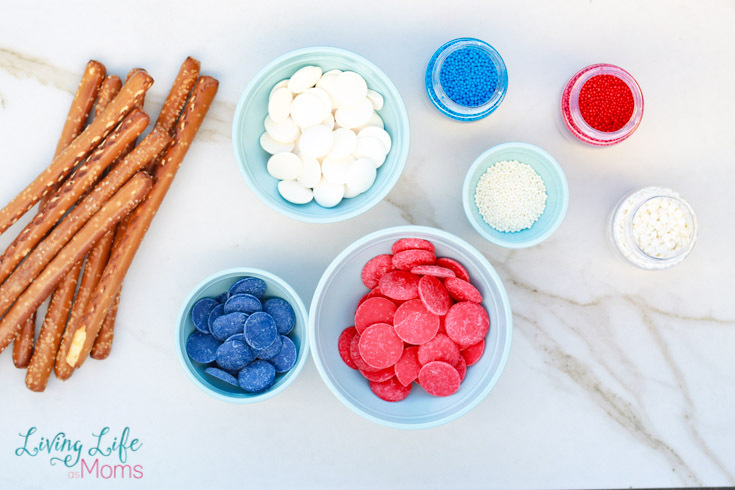 And while this recipe is great for the Fourth, you can just as easily change up the colors of the sprinkles to make them festive for any and all occasions. They’re also a really cool centerpiece addition to outdoor summer picnic tables! 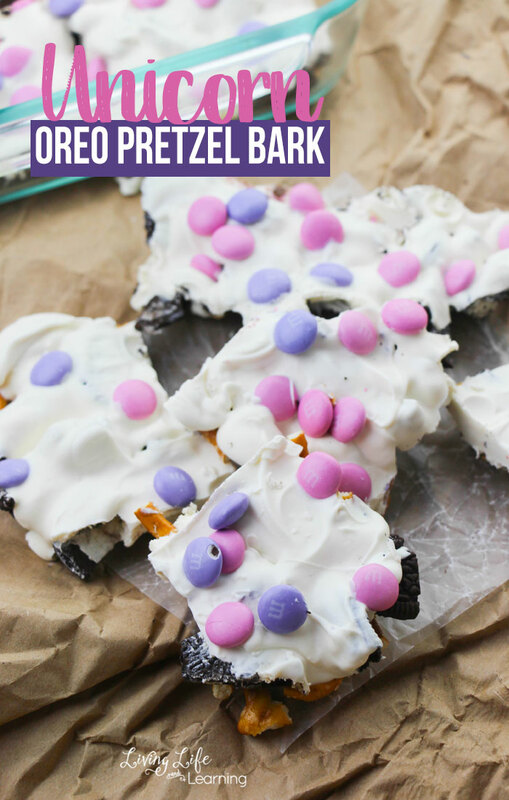 These sweet treats are so simple and easy to make. 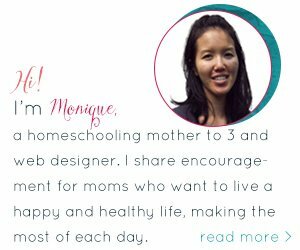 Not only do you need minimal ingredients, but they’re so user-friendly that anyone of any age (almost) can help! All you need are these simple ingredients and you’re ready to get started! When it comes to heating up the chocolate waver, make certain that you’re following the recipe card! Melt it for too long and you’ll burn it…don’t melt it for long enough and it won’t spread…melting it just right is what you’re after! And to finish and create it’s seriously as simple as melting and dipping. That’s it. Nothing overly difficult or stressful about this pretzel rod recipe at all. As a matter of fact, this just might be the most simple recipe that you’ve ever made! While they may have been simple to make, everyone who doesn’t know any better will thank that you took a really, really long time to create them! Display them proudly on the dessert table to others to enjoy. Be proud of what you created! Not everyone can create beautiful food items with ease! 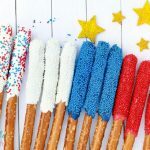 See how simple these 4th of July Pretzel Sticks truly are? 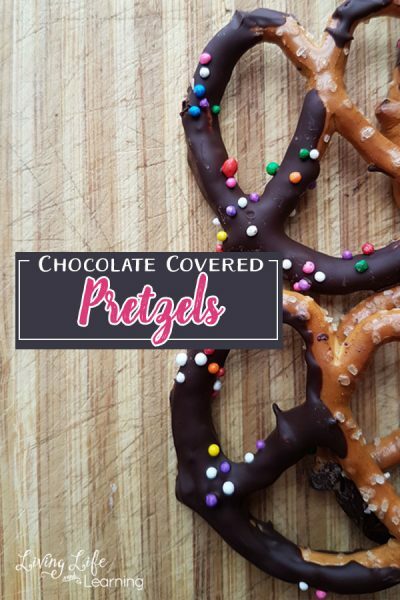 Stop stressing over trying to find the perfect dessert or fun decorations and stick to this simple pretzel dessert recipe instead! You’ll get a ton of compliments from people who are in awe and amazement at just how amazing these pretzel rods look! It’s up to you if you want to let them in on your little secret of just how you made them look so good…you have the recipe, they don’t! 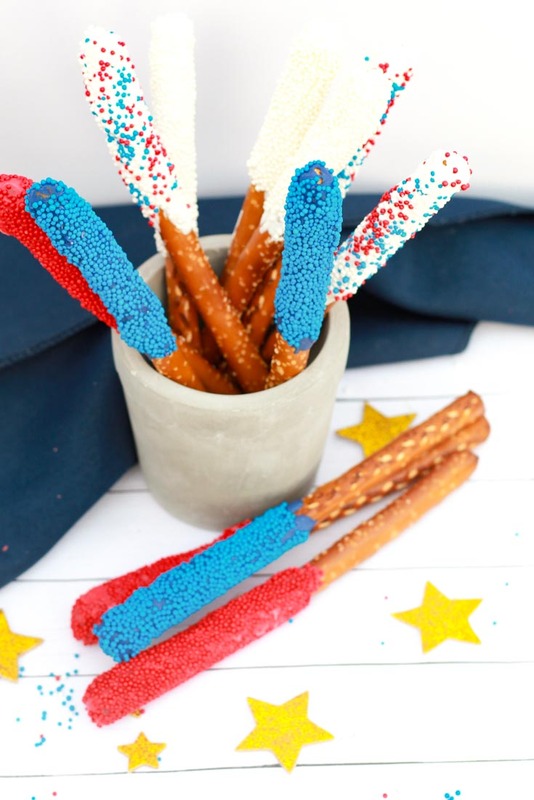 These red, white and blue pretzel rods are simple and easy to make! To get started with these treats, choose one color of candy melts to start with. 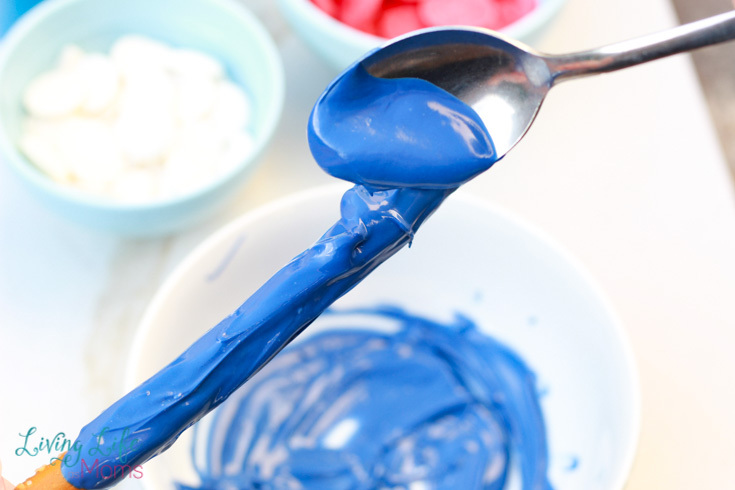 Add the candy melts in a bowl and place in the microwave and melt according to directions. Once melted, spoon them little by little on the pretzel rod. Once you have the pretzel rod covered with sprinkles, lay it on a piece of wax paper to dry. Keep repeating this process until all the rods are done and you're done using that color. Repeat the above steps with the red melts and then the while melts as well. 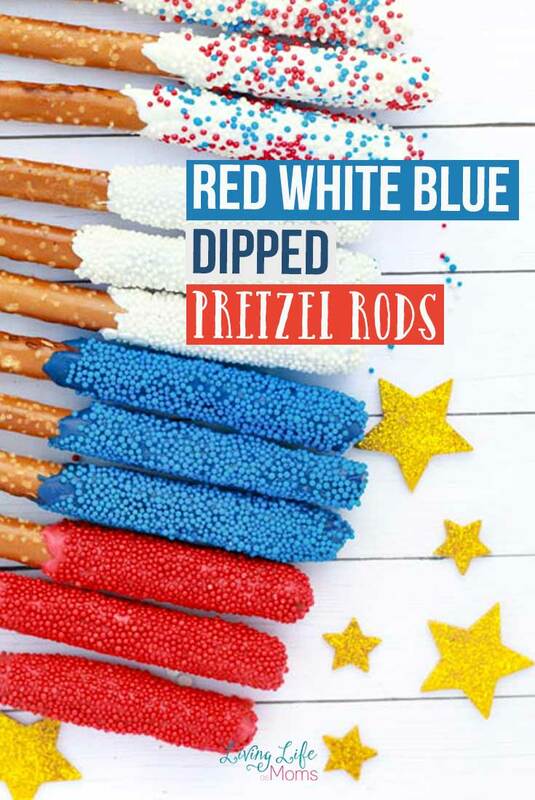 If you're wanting to make a tricolored pretzel rod. just add each of the colors and then sprinkle on your sprinkles.